Hacker group's fledgling cyber campaign against ISIS ramps up, as Anonymous calls on users to 'troll' the group on Twitter. 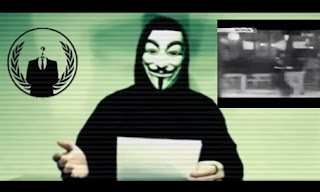 Hacker group Anonymous is attempting to ramp up its "war" on Islamic State (ISIS), by declaring Friday a day to "troll," or spam, the jihadist group on Twitter. Previous campaigns have included, among other things, an attempt to "rickroll" ISIS - which has a strong social media presence - by misleading jihadist twitter users into watching videos of UK singer Rick Astley's "Never Gonna Give You Up" video from 1987. Now, the group is encouraging users to upload "mocking" photos of ISIS, or use the hashtags #Daesh and #Daeshbags, with Daesh being an Arabic acronym of ISIS that the group dislikes. ISIS’s social media savvy is well-documented. There are at least 45,000 Twitter accounts used by ISIS supporters, including those created and suspended in recent months.